Bengaluru Needs You to Engage with Public Spaces | Bengaluru Needs You! 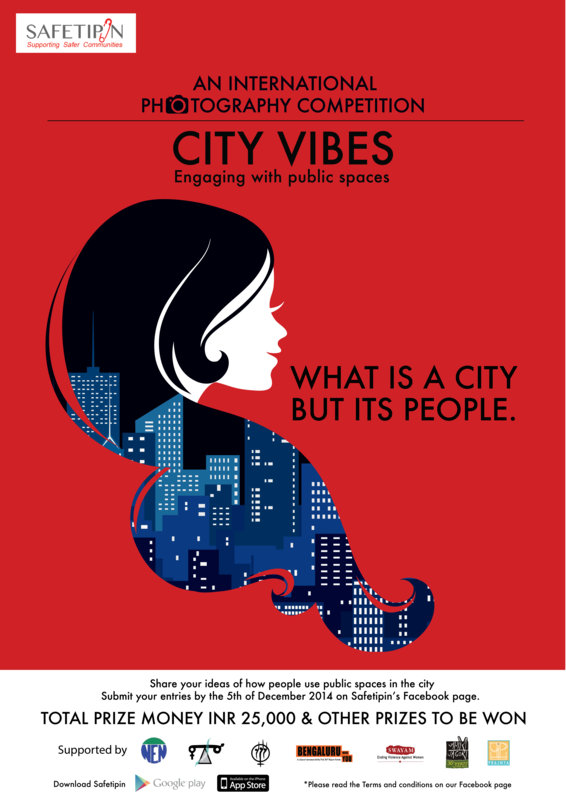 Safetipin, a partner of Bengaluru Needs You launches City Vibes: Engaging with Public Places, an International Photography Competition (November 13- December 5, 2014) looking for photographs showing people using our cities in interesting ways. 19th June, 2016: Deadline to apply for "YOUth LEADers 2016"
‘100 Days Celebration Walk’ to commemorate the 100 days since team BNY fixed 6 garbage blackspots through the Swalpa Clean-up Maadi drive.